A WAR over Sydney's tent city is rapidly heating up with NSW Premier Gladys Berejiklian and the city's Lord Mayor Clover Moore squaring off over who should be taking action. Ms Berejiklian on Monday accused homeless people camping in the middle of Martin Place of "refusing to receive help", describing the situation as "unacceptable". There are more than 50 people camping outside the Reserve Bank building each night. 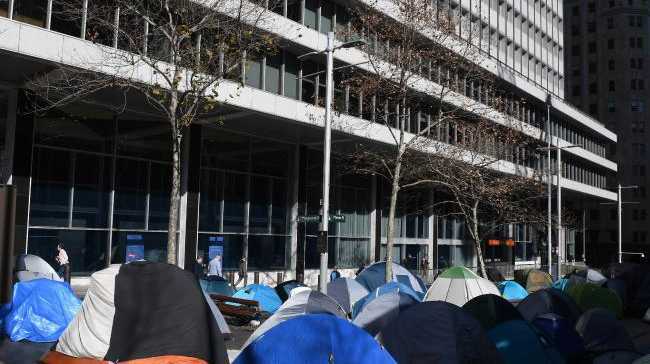 "It concerns me that people who are sleeping in tents in Martin Place are refusing to get help, refusing to receive help and I frankly think that is unacceptable," the Premier told Parliament. "Our staff have been down there 41 times ... and I call on Clover Moore to get rid of that tent city. It should not be there. Anyone who wants to receive help in NSW will receive that and I call on her to act because that is the right thing to do." Ms Moore, in turn, took a shot at the state government saying there was a need for long-term solutions and for the Berejiklian government to "step up and do their bit". "I'm deeply concerned by how many people are sleeping rough or homeless in our city," she said. "It's not illegal for people to be homeless - for some people it's an inevitable consequence of the housing affordability crisis in Sydney." 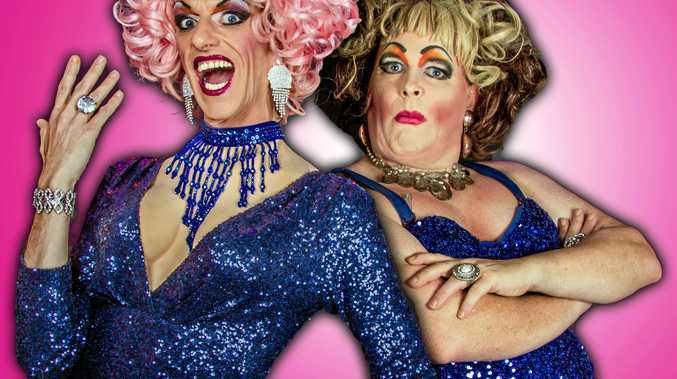 The Lord Mayor said council was "doing more than any local government in the country". "But virtually all the levers of power and responsibility lie with the state government," she said. The self-declared "Mayor of Martin Place", Lanz Priestley, told The Daily Telegraph the "political war of words" and the "blame game" wasn't helping anyone. "We have to recognise that all levels of government, including local, state and federal, have been totally asleep at the wheel and have failed to address the impending homelessness crisis that is now here," he said. "They've failed to address affordable housing and that is the core reason why there are people on the street." The tent city was given a "move on" order from City of Sydney Council in June to make way for a multi-million dollar skyscraper. But despite the council's orders the "community" moved onto the pedestrian mall outside the Reserve Bank building, metres from the original spot.